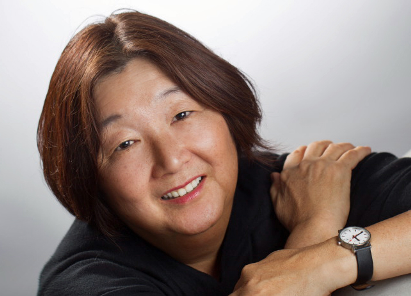 Jan Masaoka is CEO of the California Association of Nonprofits(CalNonprofits), a statewide policy alliance of nearly 10,000 nonprofits speaking to government, philanthropy, and the public at large. Jan is a leading writer and thinker on nonprofit organizations with particular emphasis on boards of directors, business planning, and the role of nonprofits in society. Her books include Best of the Board Café (Fieldstone), Nonprofit Sustainability: Making Strategic Decisions for Financial Viability, co-author (Jossey Bass) and The Nonprofit's Guide to HR (Nolo Press). Jan founded and publishes Blue Avocado magazine, often described as the second-best read publication in the nonprofit sector, with 64,000 subscribers. You’ve interacted with hundreds of non-profits. What’s the biggest challenge managers of these organizations face in your experience? Nonprofit CEOs face a blistering array of things that absolutely have to be done right now. Choosing what to leave un-done is so hard because there are consequences to every decision. But ultimately, revenue is what makes everything tick, and so the drive for revenue is always central. You wrote an entire book about HR for non-profits. Could you give a few pointers about recruiting, motivating and retaining best talent? Spend more time getting a large pool of applicants. Most nonprofits spend more time choosing among applicants than getting a better pool. And while the for-profit sector is too quick to blame problems on somebody who needs to be fired, we in the nonprofit sector are too quick to allow mediocrity to stay in place. The best advice about motivating and retaining talent is that different people are motivated by different things. Instead of asking yourself, “What kind of supervisor should I be?” ask yourself, “What does this organization need me to say to this particular person right now?" Hiring CEO and top management from corporate world to run a non-profit, generally good idea or a terrible one? I’ve seen more failures with this than successes, but that doesn’t mean the right person isn’t the right person. Any person changing fields needs to realize it will involve taking a step downward in status and that there will be a great deal to learn. Too often people from corporations expect to come in gangbusters without learning, especially about the differences between a big corporation and a small business. Hidden behind the “skills are transferable” idea is a presumption that nonprofits are easier to manage than for-profits. If we all believed that skills are transferable, we would also hire nonprofit leaders into management positions in airline companies and fast food. There’s more to knowing the industry and the market than just skills. What are you favorite tools for coordinating volunteers? Usually the problem is not a lack of a tool or tools. Usually the problem is that there is no staffperson or persons responsible for coordinating volunteers. In other words, if you don’t have a carpenter it’s not that much use debating whether a hammer or a saw is more important. Many non-profits have difficult relationship with money. What are your favorite strategies for a sustainable organization that doesn't spend all its time raising money or worrying about shutting down next week? If your organization helps vulnerable people, you will never have enough money. And in any nonprofit, if you have ambitions for greatness, you will never have enough money. So two things: first, how will we do the best we can at the amount of money we are likely to have? And second, the lack of enough money is not some sort of psychological weakness you have; it’s a systemic problem of resource allocation. What books, blogs, forums, and other resources can you recommend to our readers who want to learn more about running a non-profit? So many hundreds of nonprofits have made good use of the book I co-authored with Jeanne Bell and Steve Zimmerman: Nonprofit Sustainability: Making Strategic Decisions for Financial Viability. It’s a methodology that operationalizes the concepts of meeting both financial goals and mission goals. And for years I’ve been writing BlueAvocado.org, a very popular online magazine. There are avalanches of conventional wisdom falling on nonprofits every day from the Philanthropic-Consultant Industrial Complex. Don’t let “best practices” confuse you. Running a large methedone clinic in Philadelphis is entirely different from running a wildlife preserve in New Mexico which is entirely different from running a nonprofit working to influence U.S. actions in Syria. Look for the organizations and leaders you admire, and observe them closely. Bitrix24 is a non profit management software. Use promocode TIP10 when registering your free Bitrix24 account to get extra 10GB. - Does Thought Leadership Matter for Your Business?